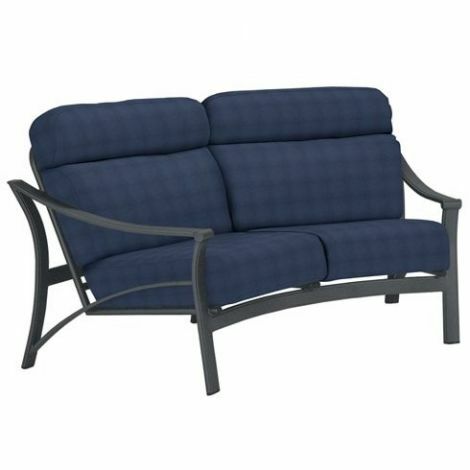 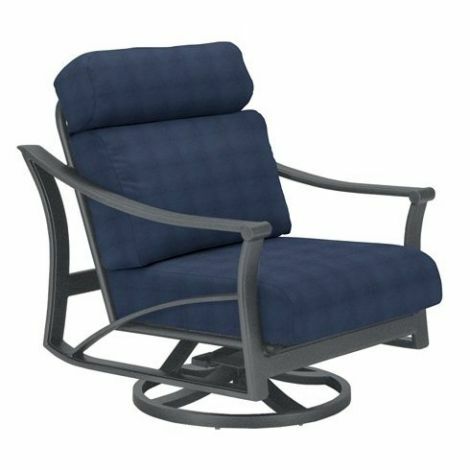 The Corsica Cushion Collection utilizes the RELAXplus® cushion system, providing the comfort and durability of indoor furniture, but designed for the demands of the outdoors. 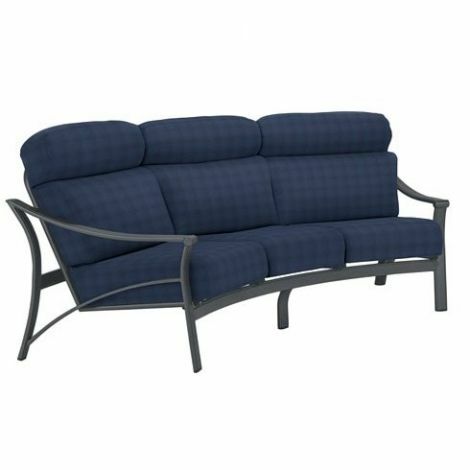 Designed by Peter Homestead, the Corsica Cushion Collection includes crescent love seat, crescent sofa, love seat, sofa, lounge chair, action lounger, swivel action lounger and ottoman. 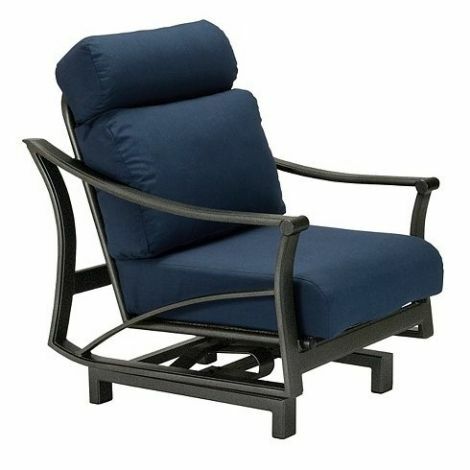 The high-back design delivers sink-in comfort while providing head support. 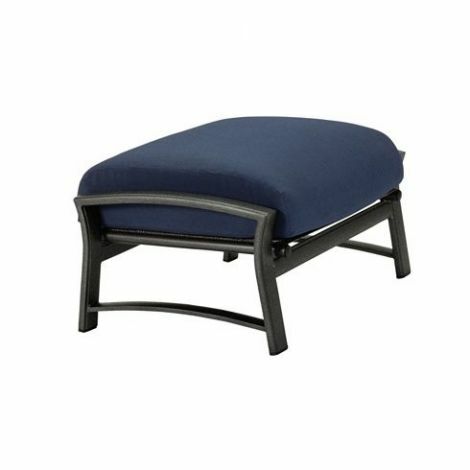 With lightweight aluminum frames powder-coated in any of Tropitone's colorful, yet durable finishes and comfortable cushions made from Tropitone's fabric offerings, Corsica Cushion provides a relaxing, durable seating solution.